Is i mBaile Átha Cliath a rugadh agus a tógadh mé. Ghnóthaíos bunchéim sa stair (COBÁC, 1989), máistreacht i léann na hÉireann (COBÁC, 1992), agus dochtúireacht sa stair (Ollscoil Learphoill, 1999). Chaitheas sealanna ag taighde i gcomhair fhoclóir beathaisnéise an Acadaimh Ríoga agus i mo léachtóir staire in Ollscoil na hÉireann, Gaillimh. Táim ag obair sa tseirbhís phoiblí ón mbliain 2004 i leith. Tá suim ar leith agam i stair na hÉireann i rith an 18ú céad 'fada' – ó Chogadh an Dá Rí go cath Waterloo. Cúig leabhar liom a foilsíodh go dtí seo, tá ceann eile á scríobh agam faoi láthair, agus tá dhá chnuasach d'fhilíocht Ghaeilge an 18ú céad curtha in eagar agam. Ina theannta sin, tá roinnt caibidlí liom i gcló i gcnuasaigh ilúdar agus bíonn aistí liom le léamh in irisí acadúla go rialta. Scríobhaim 'Cúrsaí Staire', aiste ócáideach ar-líne, agus bím ag Tweetáil anseo. Ar na hábhair eile a bhfuil suim agam iontu tá: an dearadh grafach (agus an dearadh i gcoitinne), an chnocadóireacht agus an bheoir cheirde. 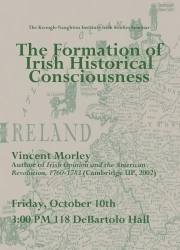 A native of Dublin city, I have a primary degree in history (UCD, 1989), a master's degree in Irish studies (UCD, 1992), and a doctorate in history (University of Liverpool, 1999). 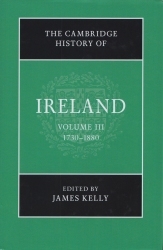 I was a researcher on the Royal Irish Academy's Dictionary of Irish Biography project and I lectured in history at the National University of Ireland, Galway. Since 2004, I have been employed in the public service. The main focus of my interest is the history of Ireland during the 'long' 18th century – from the Williamite war to the battle of Waterloo. 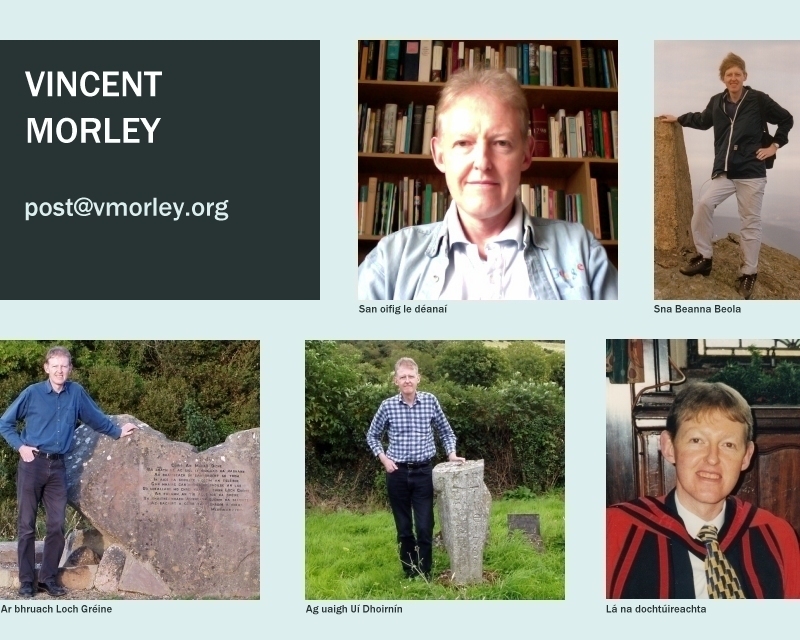 I have had five books published to date, I am working on a sixth at present, and I have edited two anthologies of 18th-century Irish verse. 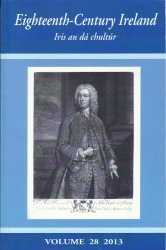 I have also written chapters for a number of edited volumes and I publish regularly in academic journals. 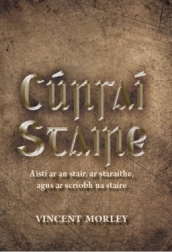 I write 'Cúrsaí Staire', an occasional on-line essay in Irish on historical topics, and my Tweets can be accessed here. My other interests include graphic design (and design more generally), hill walking and craft beer.